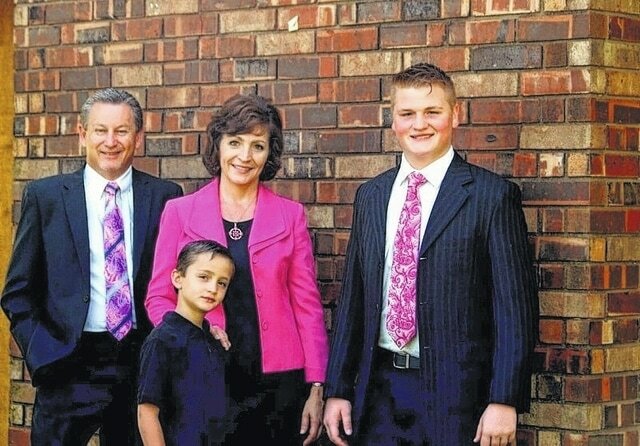 The Bible Baptist Temple will host The David Warren Family on Friday, Aug. 26 at 7 p.m. The Warrens are a musical family that has been traveling for almost 30 years. They capitalize on old fashion Biblical preaching and “Family Style” southern gospel music. They sing and preach in an average of 150 churches a year across the U.S.
David and Devanie Warren have five children, with only the two youngest still traveling with them. They specialize in playing guitar, bass guitar, steel guitar, banjo and Dobro with their singing. The church is located at 4361 SR 41 NW, Washington C.H., just North of Miami Trace Schools and six miles from I-71. For more information call Pastor Lyn Jackson at 740-333-1001. A love offering will be received for the group.